Sonequa Martin-Green attends 'CBS Hosts The EYEspeak Summit' at Pacific Design Center on March 14, 2018 in West Hollywood, California. 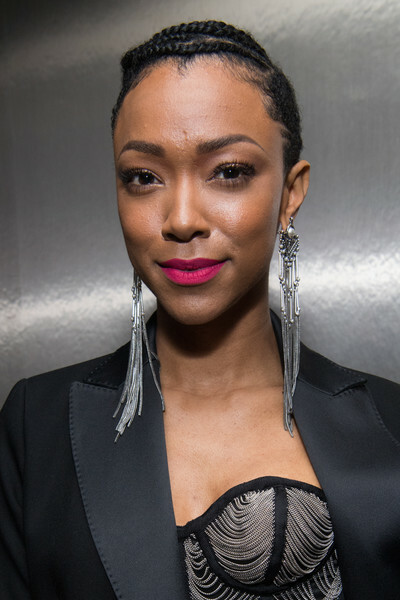 Sonequa Martin-Green brightened up her beauty look with a swipe of matte pink lipstick. Sonequa Martin-Green styled her hair into a cornrow updo for the Eye Speak Summit. Sonequa Martin-Green accessorized with a pair of Dylanlex chain earrings that were a perfect complement to her corset top!